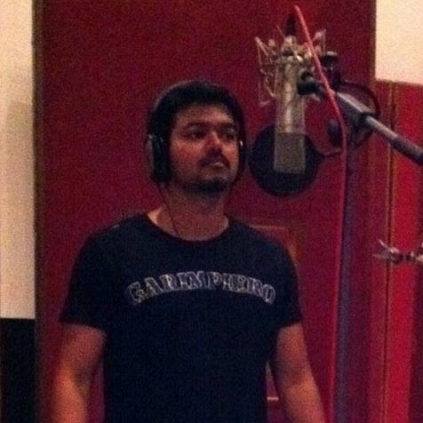 Ever since Thuppakki, Vijay has been crooning his voice for one song in his films. He has followed it in Thalaivaa, Jilla, Kaththi, Puli and Theri. Looks he will be doing it again this time for his current film Bairavaa. When we checked with the director of the film, Bharathan, he said "Yes, Vijay sir will be singing a number for Bairavaa." It would be new and exciting to see Vijay sing for the new age music director Santhosh's tunes. Wouldn't it be? People looking for online information on Bairavaa, Director Bharathan, Santhosh Narayanan will find this news story useful.